The other day while I was on vacation, Harry Potter was on so I started watching the Order of the Phoenix. I had the epiphany that during the Ministry fight scenes, it reminded me of various superhero fighting sequences. That led to me identifying which wizard or witch is what hero or villain in the Marvel/ DC universe, which led to this post. 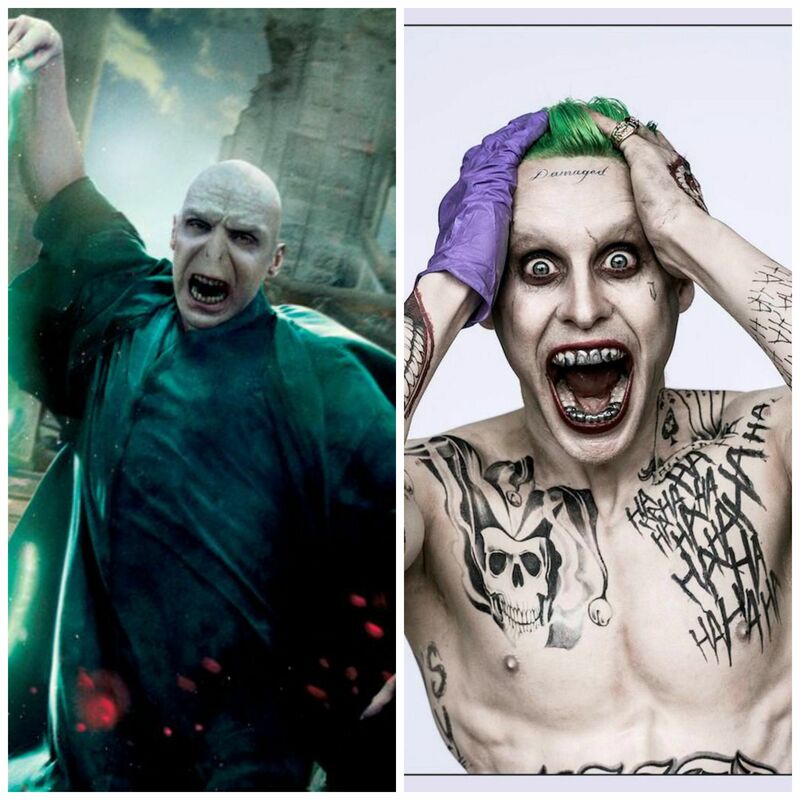 Voldemort is CLEARLY the Joker. They are both ruthless, and I bet Joker would make horcruxes if he could. 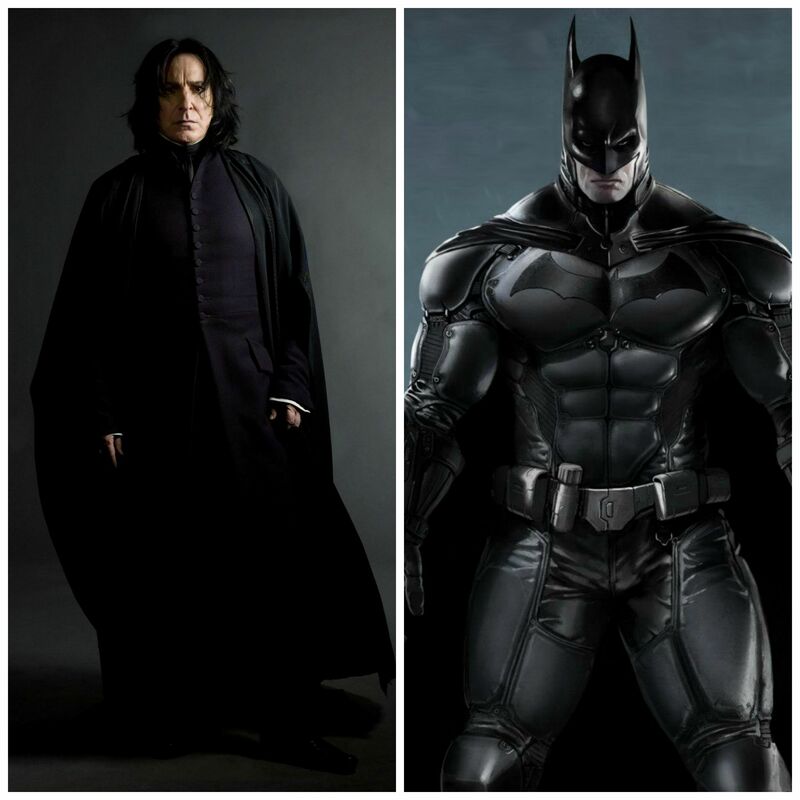 Snape is totally Batman. They are both dark, brooding over the losses they’ve experienced, and seemingly fight for good, although under their own prerogatives. 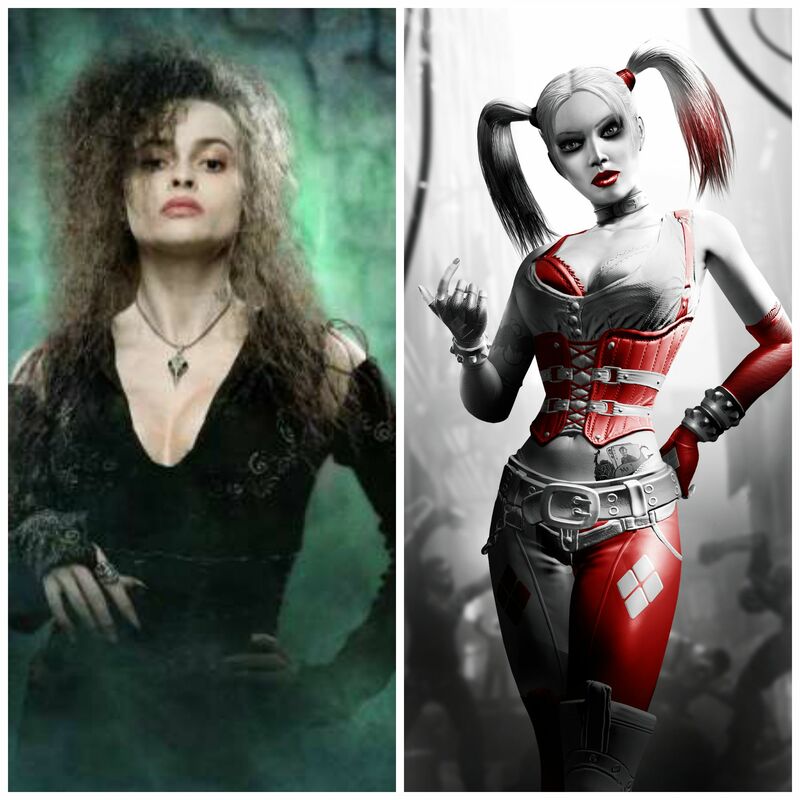 Bellatrix is Harley Quinn, because they both follow the evil overlords with a strange form of love. They are also both kinda crazy. 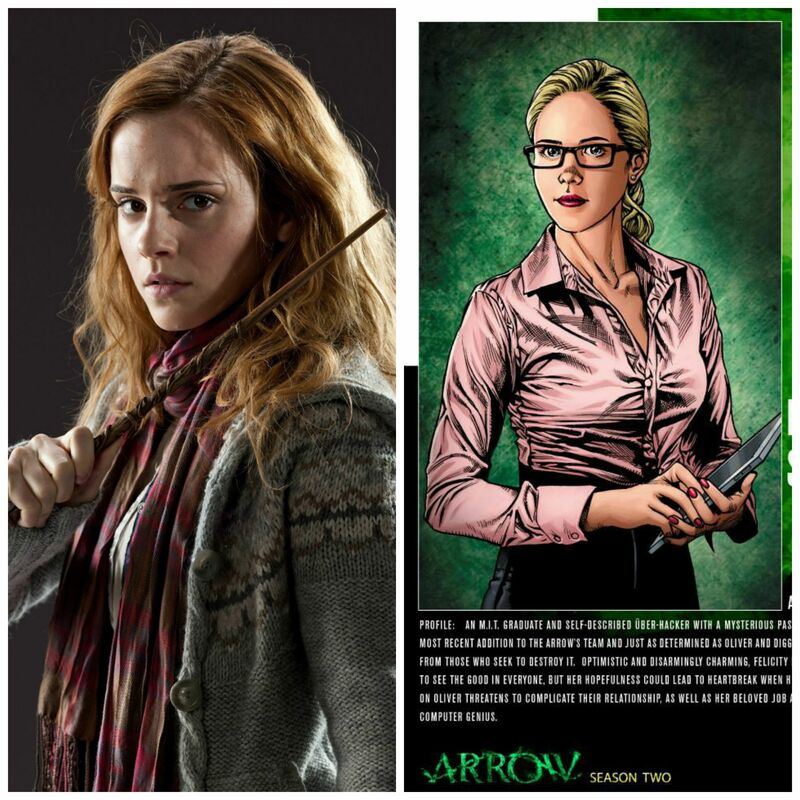 Book smarts and street smarts is what pairs Hermione and Felicity. They follow their heroes and provide great help in areas involving intelligence. 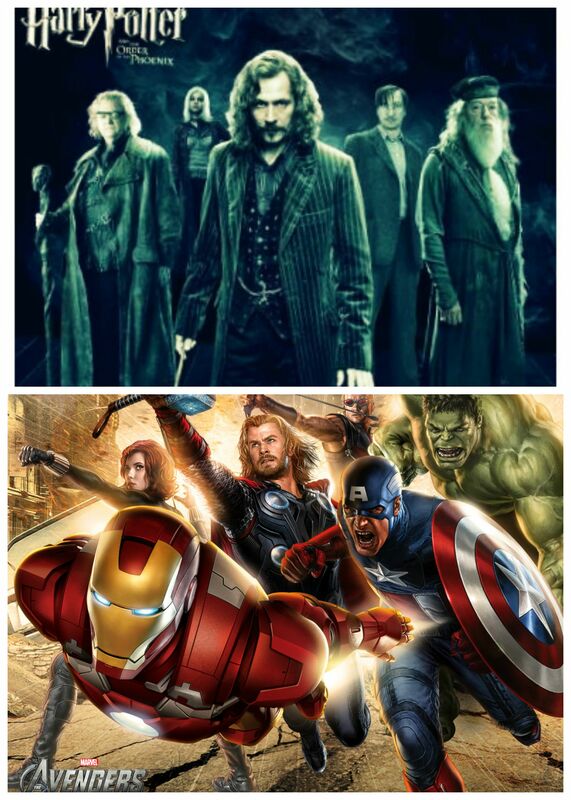 Groups that fight ultimate evil, the Avengers and the Order of the Phoenix are a match. And the group of villains together. 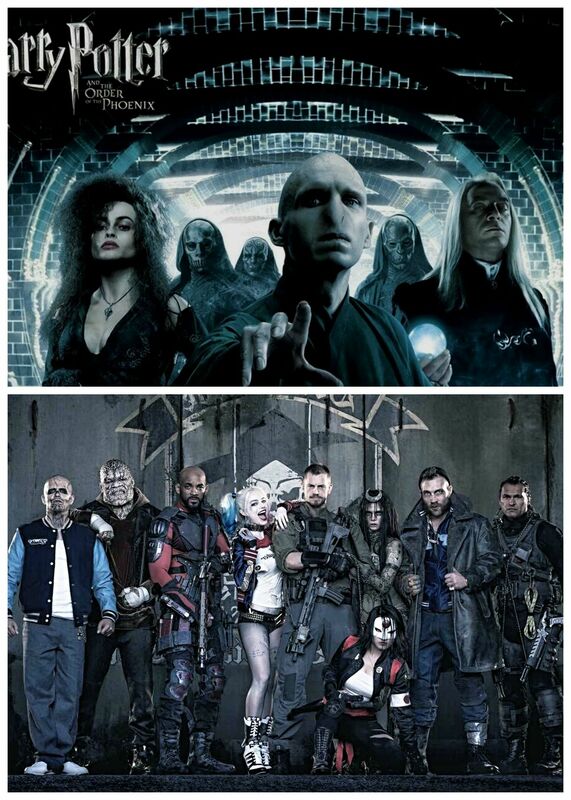 However, suicide squad does not do evil deeds exactly when working as a team, but the idea of bad guys coming together is where these two become pairs. 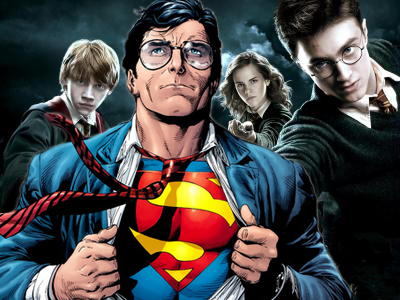 What other Harry Potter/ Super matches would you make?